People have a lot of words to describe cockroaches, including squalid, ugly, sly, and disgusting. But maybe it's time to add a new surprising word ie inspiring. As said by the scientists on Monday, February 8, 2016 that they build a small robot with a search and rescue capability inspiration cockroaches through the gap is very narrow which is designed to find the survivors after a natural disaster or bombing. "They taught us the essential design principles," said Robert Full, professor of integrated biology of University of California-Berkeley on the research whose results were published in the journal Proceedings of the National Academy of Sciences. 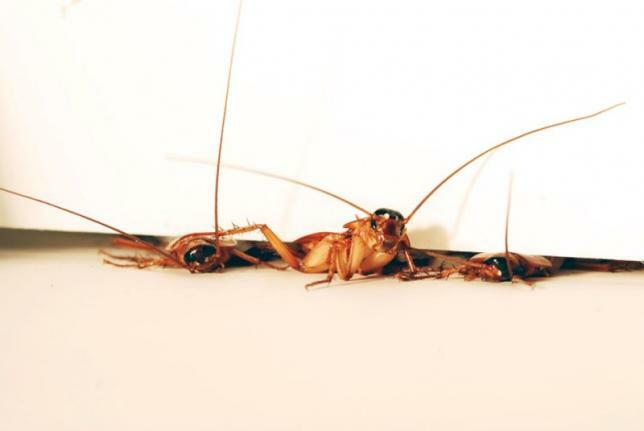 Using a specially designed obstacle, the researchers observed how the cockroaches scurrying, in less than one second through a gap smaller than a quarter of their height by compressing their exo skeleton joint becomes a half. After being in the gap, the cockroaches can move quickly, almost 20 times its body length per second, with the legs fully stretched out to the sides. "If you enlarge to the size of a human, it would be equivalent to about 70 miles per hour (113 kilometers per hour), more than double the speed of the fastest runners," said Kaushik Jayaram, a biologist of Harvard University who worked on the research while at UC-Berkeley. The researchers say cockroaches height of about half an inch (13 millimeters) when they run free, but they can compress the body to one-tenth inch (2.5 millimeters) for through the cracks. Experts have studied the movement of the animal to make a robot that can maneuver in a difficult environment. "Nature has a library of design ideas. This diversity enables the discovery. You never know where basic research will lead. The most important discovery of the often unpredictable creatures, some of which is disgusting," Full said. 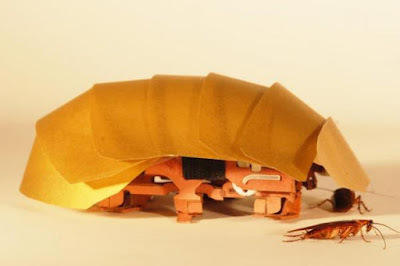 The observations include on the species Periplaneta americana, the American cockroaches, inspired the design of soft-bodied robot prototypes with many legs called CRAM (Compressible with Articulated Robot Mechanisms), which in the future could be used to help to find the survivors in the rubble.